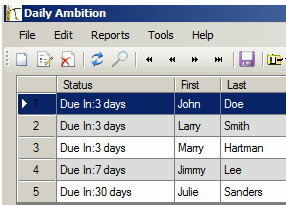 Put your Direct Sales, Network Marketing or Insurance business into overdrive with Daily Ambition. 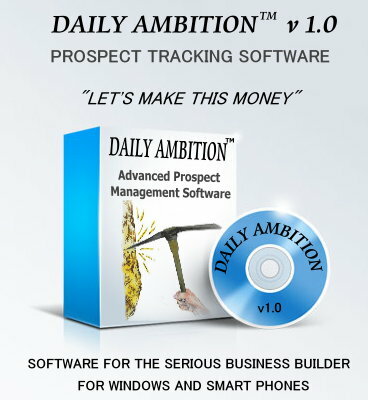 This is the top prospect tracking software for the direct sales industry. 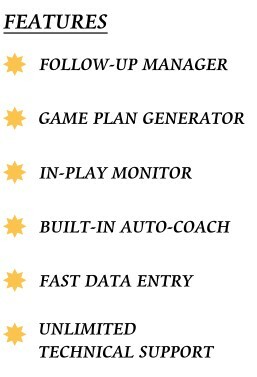 Never lose focus, never forget to follow-up, easily track your activity and use the built-in coaching functionality. Now you can have the pulse of your business at your fingertips.